Phew! You all sure know how to try for a prize! What fun it was to read all the entries + count up all the votes :) I really hate that part of giving something away... because I want to give the gift to everyooooone. And it breaks my heart when "only" one can win. Then I have to go into coach-Kristen-mode and not let the emotions get to me. 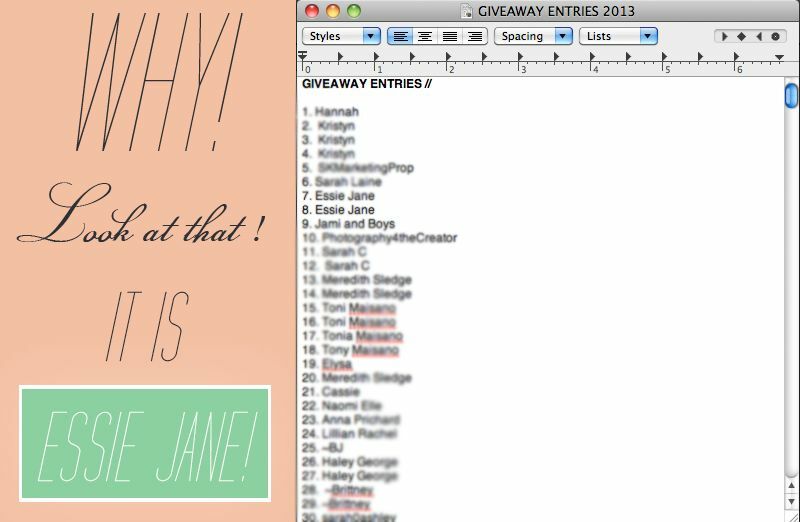 Congratulations Essie Jane - e-mail me your home address so I can get you your goods. You're going to have FUN!